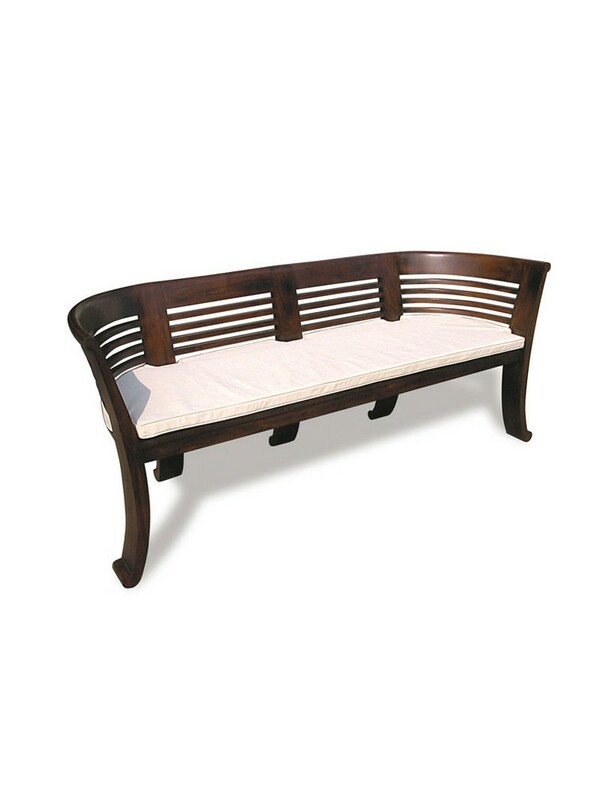 Featuring curvy shape, this patio bench is so stunning to be placed in garden, patio or even in indoor. It has been well finished and finely sanded to present smooth surface of the bench. 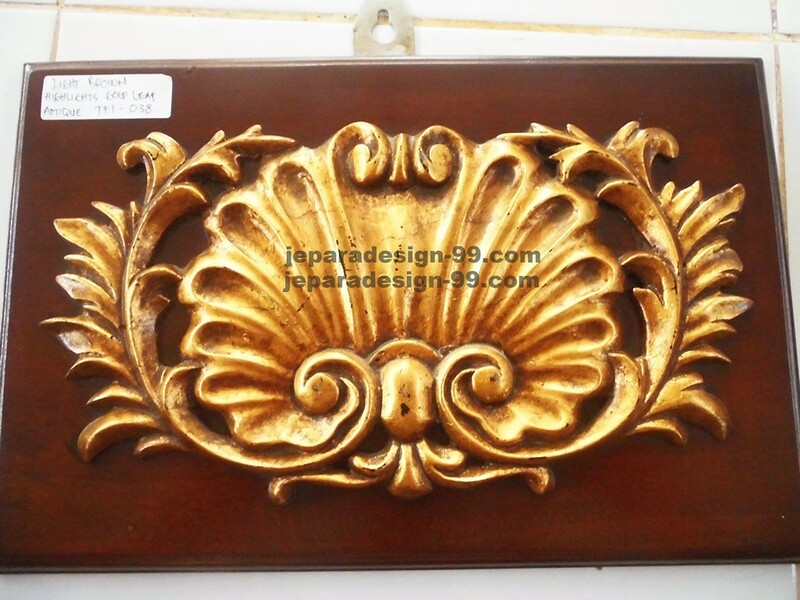 As it was made of teak wood, it can be left outdoor all time and no need extra maintenance. 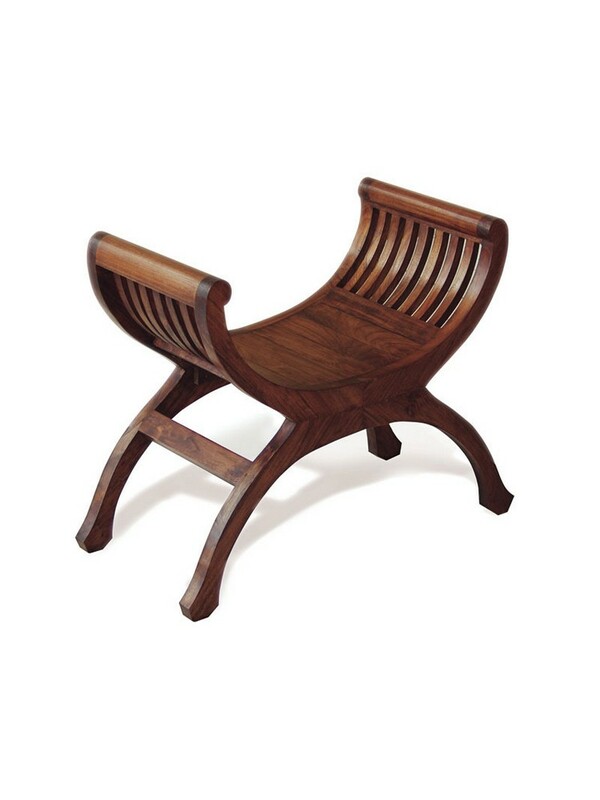 One seater bench using curvy shape for its model, will be suitable for your patio or garden. 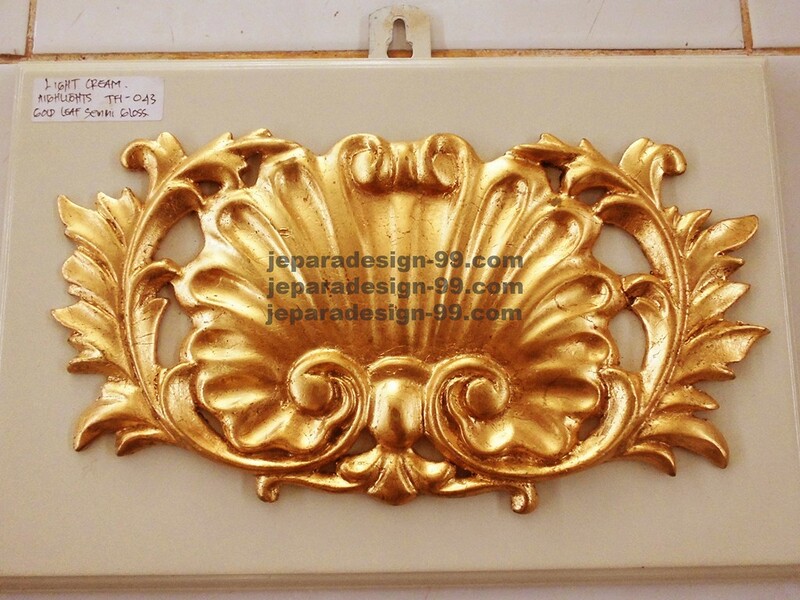 The shape will impress your guest. 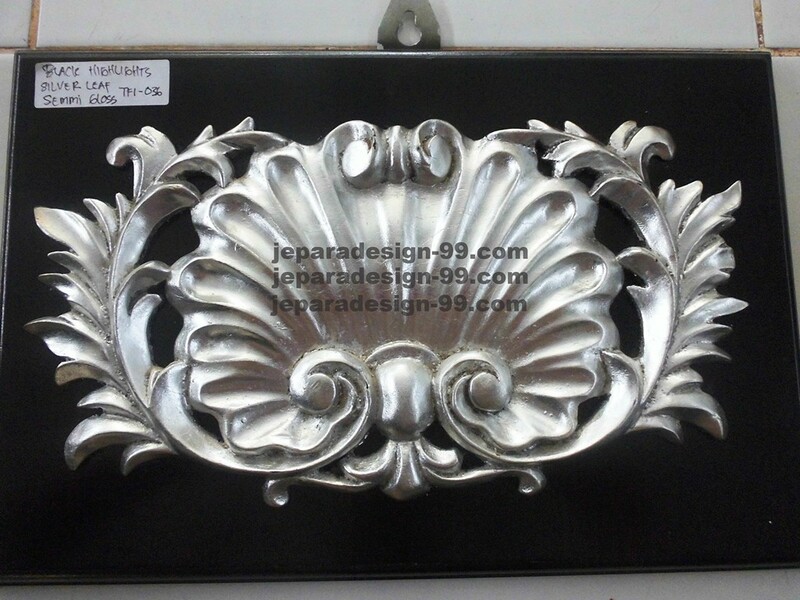 It was made of sturdy teak wood from plantation. For sure it will be durable, passing the time and weather. 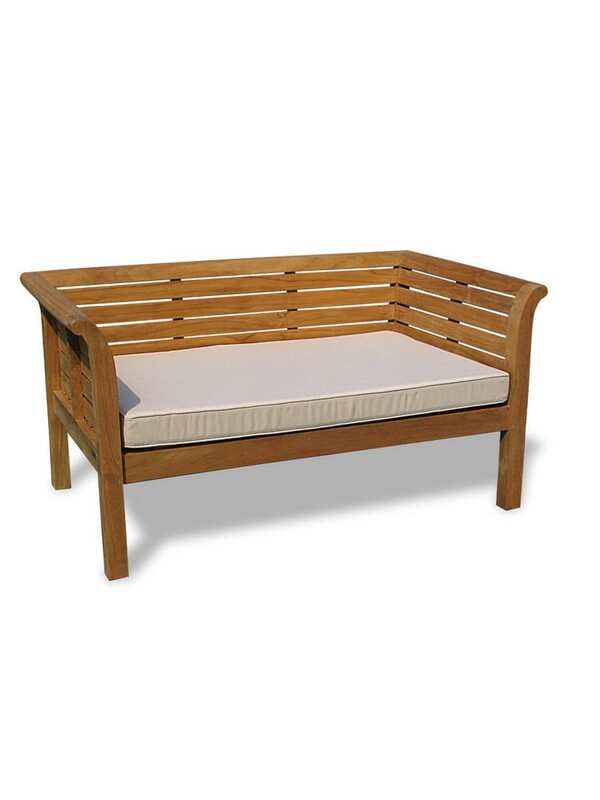 Spending your time outdoors will be kind of fun with this bench that also can be functional as a daybed. 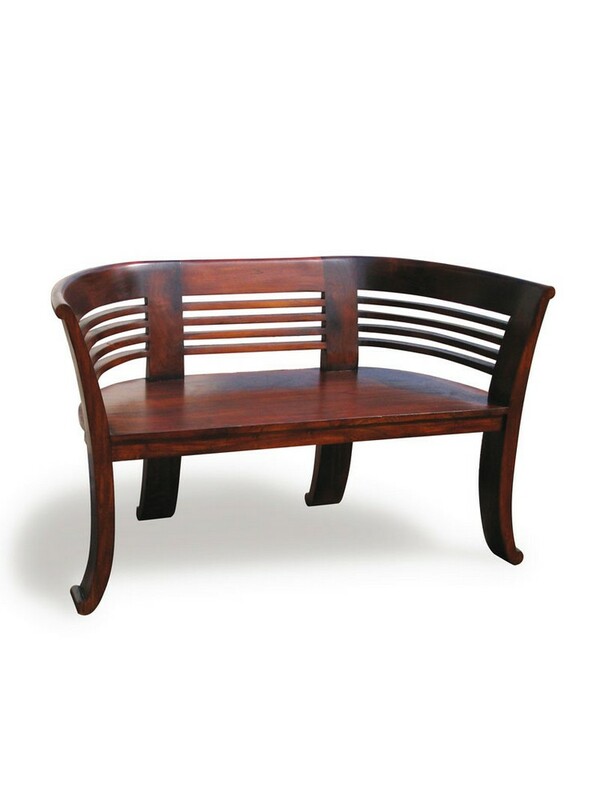 Steady constructed from selected teak wood and well finished are the valuable things you get from this bench. You'll enjoy your day and leisure time with this bench. A cozy bench as alternative to a sofa, it can be placed in the patio or in the garden. 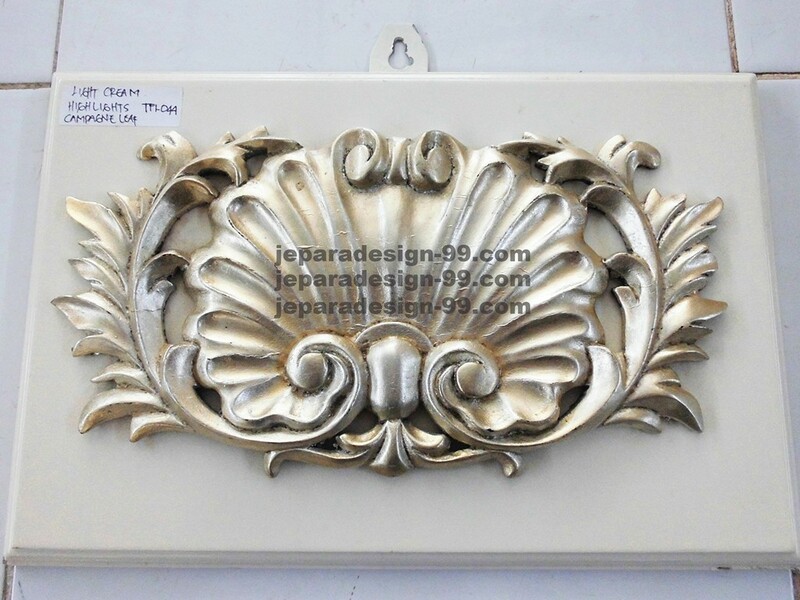 The cushion can be moved separtely, so it can be suit for the situation you have. 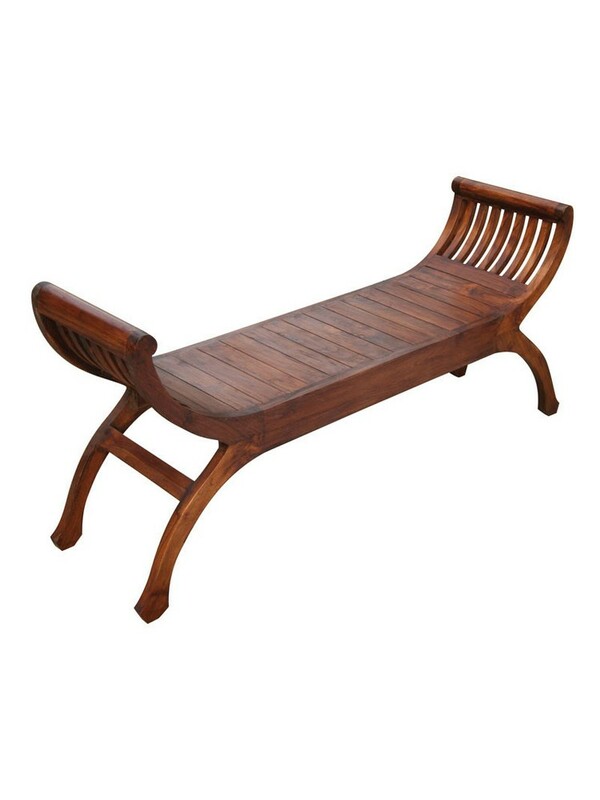 Stunning bench that is suitable for both indoor and outdoor. Well thought out construction with mortise and tenon joints. 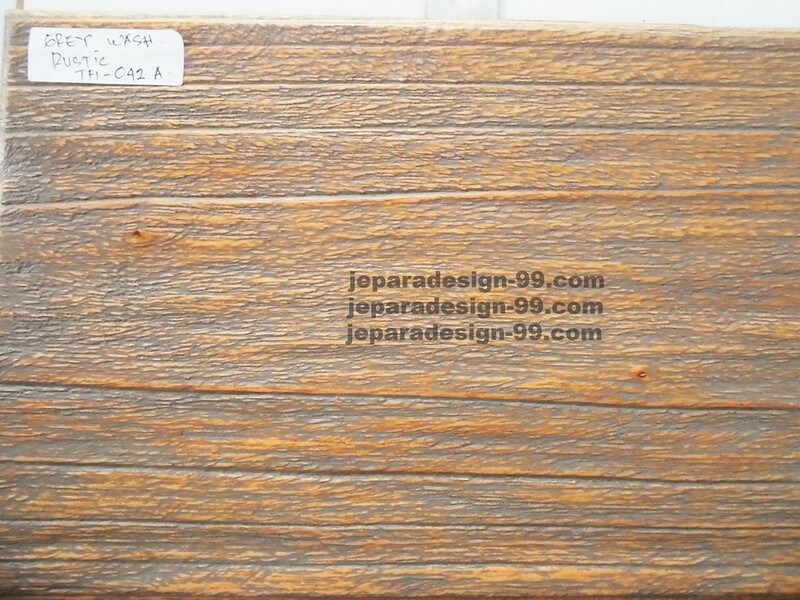 The teak wood that was used will make no worry to be used in the garden and patio. 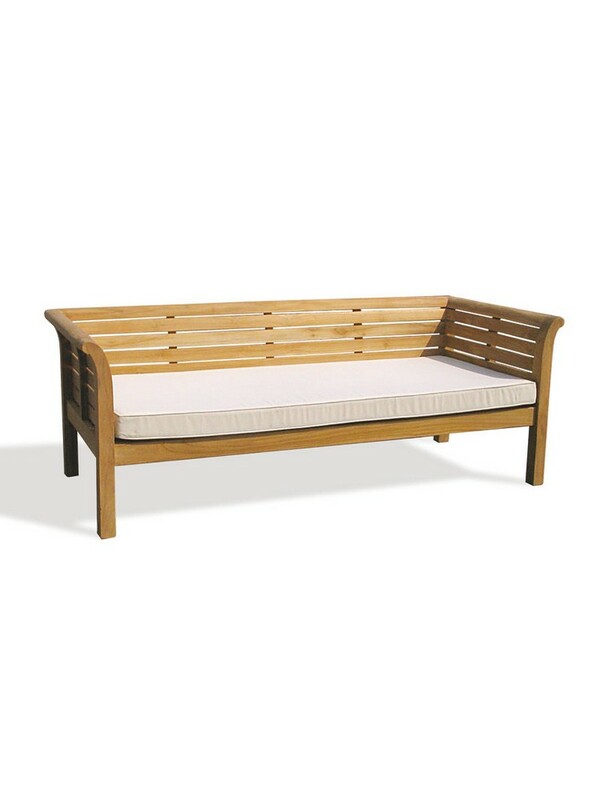 A popular choice of teak bench that can be used both indoor and outdoor. 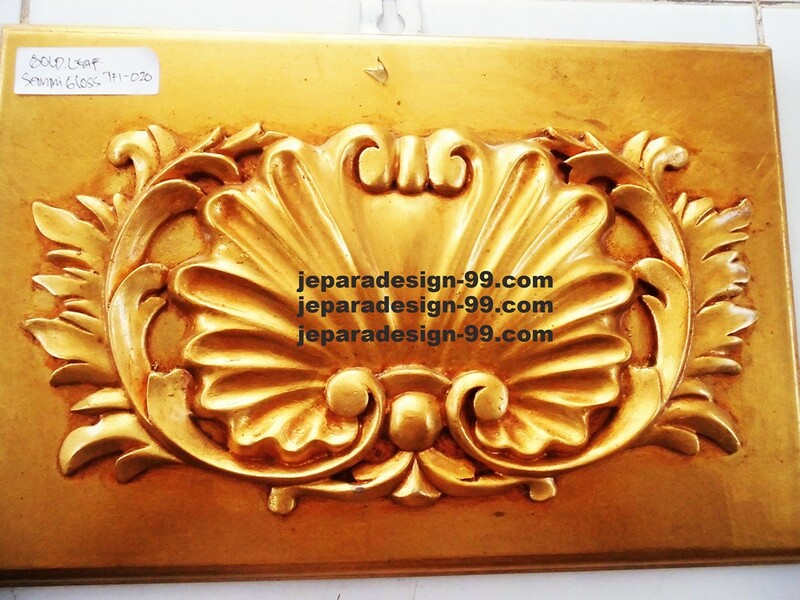 The design itself can be mixed with modern or classic style. 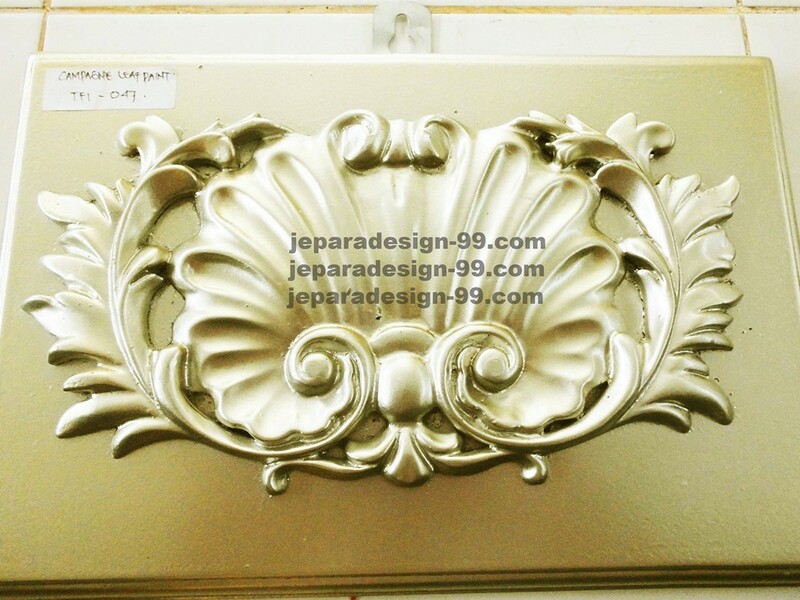 It has been well finished and finely sanded to present smooth surface of the bench. 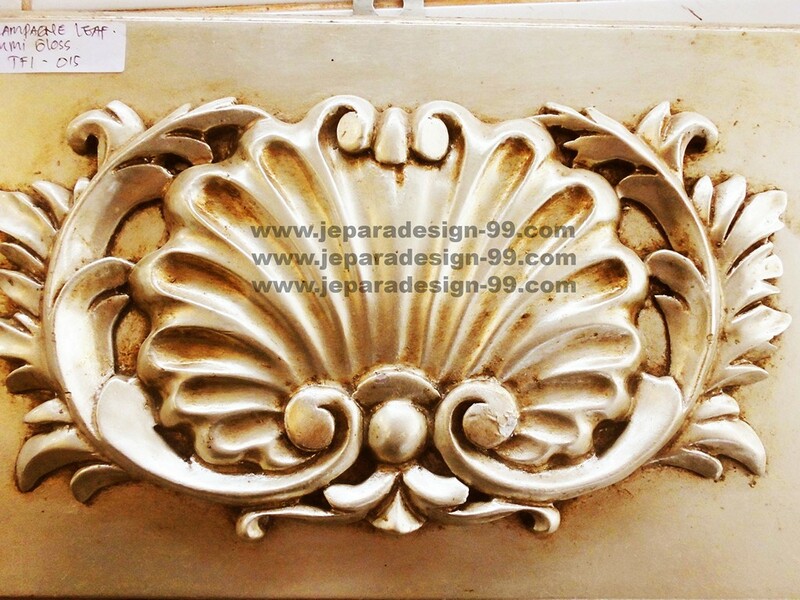 This bench set model is very popular it is based on one of the enduring creations of the pre-eminent architect Sir Edwin Lutyens. 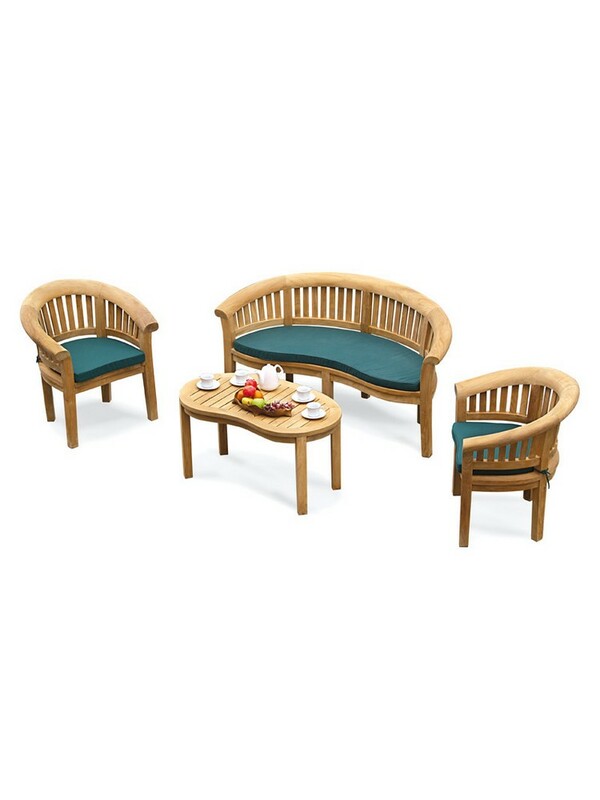 This garden bench set consists of one teak bench, two teak arm chair, and one coffee table. 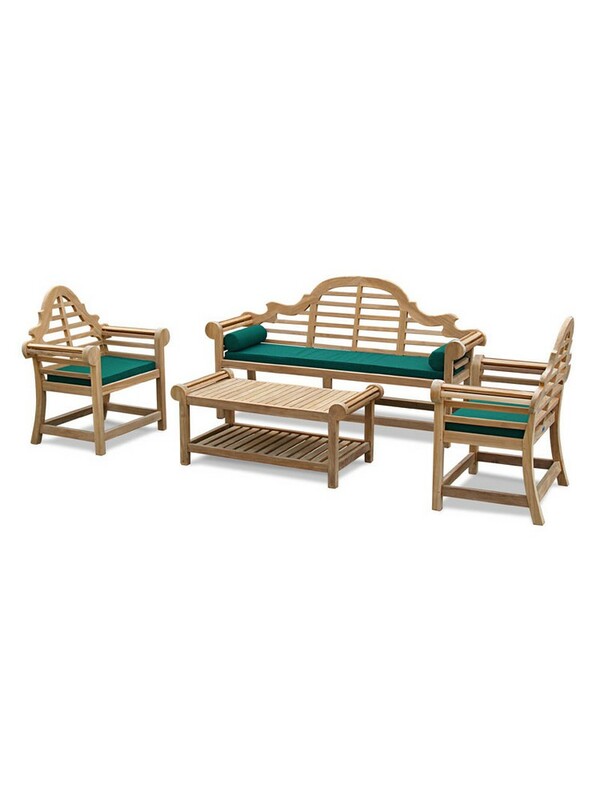 This garden bench set set consists of one teak bench, two teak arm chair, and one coffee table. 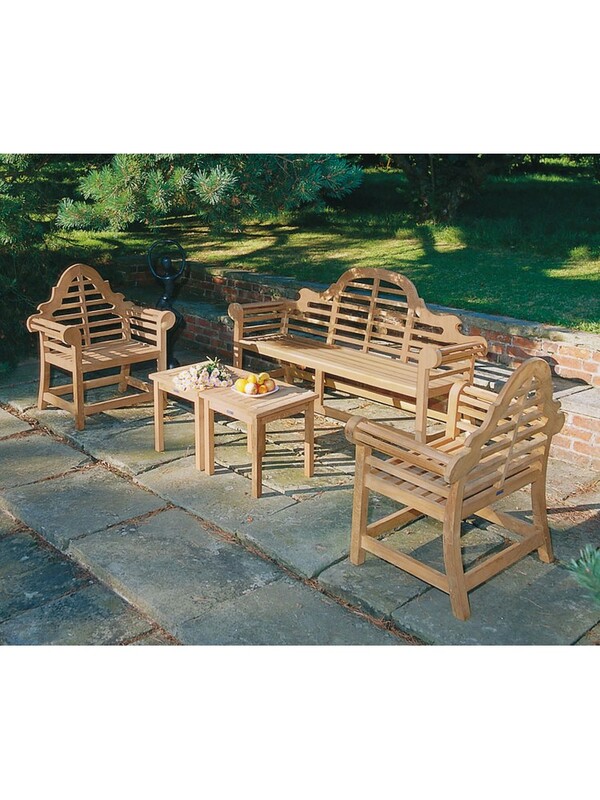 Made of teak wood with well sanded and finishing, this set will be ok to stay in the garden without extra care needed. A set garden bench consists of 1 two seat bench, 2 single seat, and one coffee table. Sometime this set is called as banana bench. Strong and steady teak wood is used to construct. If you placed this set in the garden or patio, it will be durable passing the time and weather. 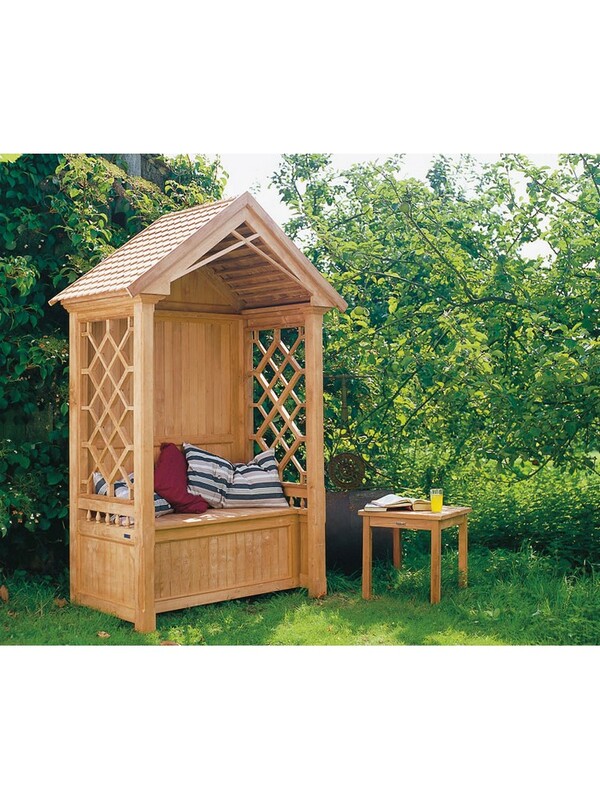 Spending your time in the garden with arbour bench, what a good option after you stuck in your daily activity. We made this arbour bench using teak wood, it is very steady and cozy. The roof will protect you from the sun light, make you comfort to stay in the garden.